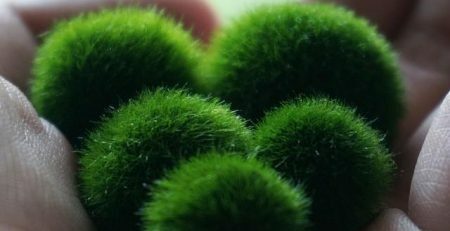 Throughout the years, Marimo Moss Balls have become a favorite addition to the world of aquarium plant hobby. As a matter of fact, in 2007, the International Genetically Engineered Machine Competition team conducted a project of creating Marimo-ish collection of bacteria. Aegagropila linnaei, more commonly known as Marimo, is a species of filamentous green, spherical shaped algae, which is considered as one of the most popular living organisms in Japan. What is interesting about Marimo is that it is a rare development form of the species where the algae cultivate into large green balls with a smooth look. Marimo balls grow in three different forms. The first is epilithic, wherein the algae grow on rocks, and is typically found on the dappled side of the rocks. 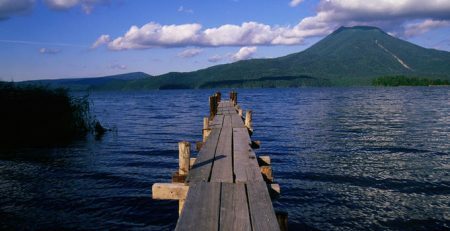 The second type includes marimo that grows as free-floating filaments, which are tiny clumps of individual filaments that habitually create a layer on the grimy lake bottom. The third type is the lake ball proper, wherein the algae develop into big balls of tightly packed algal filaments that spread out from the middle. 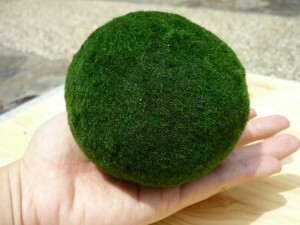 If you are interested to take part in the Marimo ball craze, you may consider buying one or giving it as a gift. There are several reasons that justify this trend in aquarium plant hobby. First, if you will give it as a gift, the receiver will find it easy to look after because Marimo does not necessitate special care or a great deal of space. The packaging of Marimo balls may be done in the simplicity of placing it in a glass jar or in a fish globe with fishes. With regard to its care, it does not require sunlight or fertilizer. In fact, softly cleaning the moss off the ball and lightly tabbing it to help the Marimo ball create an ideal spherical shape with your finger when you change the water is all that it takes for you to maintain it. As a form of packaging, you may also place Marimo balls in a transparent vase, which you can place in a place with a temperature of below 25 degrees Celsius. Unlike taking care of pets, of which you will feel anxious to leave alone, there is nothing that you will be troubled about when taking care of Marimo balls. These algae have the power to refine your emotion, for they have been regarded as stress relievers and inspirational charms. Lastly, these velvet balls are free floating, and they display distinctive reactions in line with a change in their habitat – since they are photosynthetic, they float or sink in the water in the presence of columns of light, and roll around on the bottom of the glass jar, aquarium, or vase afterward. 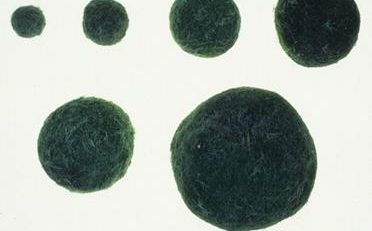 Before deciding on a container, be sure you know how many marimo moss balls will be included. You don’t want them to look too crowded in a small container or, on the other spectrum, invisible in a large tank, depending on size and quantity. No matter which set-up you decide on, it is important to choose a unique jar that brings you enjoyment whenever you see it. Whether it is a hurricane vase or a unique etched jar, Marimo balls and their homes should bring owners a sense of pride and comfort.